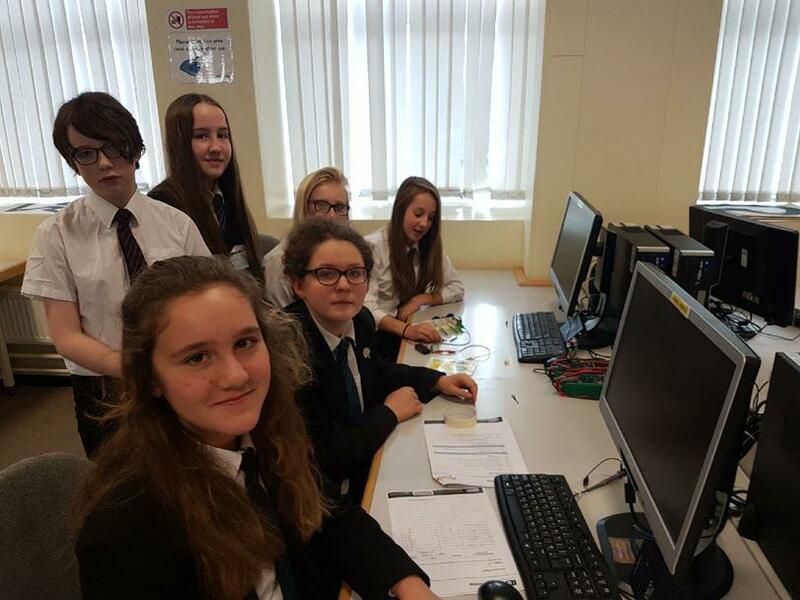 Students from Holsworthy Community College took part in an IET Faraday Challenge Day (FCD) sponsored by Thorpe Park. The students became real-life engineers for the day when they researched, designed and built solutions to real engineering problems as part of the Institution of Engineering and Technology’s (IET) Faraday Challenge Day on Wednesday 17th January. 169 events are taking place across the UK to host 2017-18 IET Faraday Challenge Days. Up to six teams of local school students will compete at each event to find the best solution to an engineering-related challenge. The events will be free of charge and set up by IET staff and volunteers. This year’s challenge is in association with Thorpe Park Resort, but the brief for these young engineers is shrouded in secrecy to avoid unfair preparation and research. Teams must race against the clock to solve a real-life engineering problem, putting their engineering and technology knowledge and skills to the test. Holly Margerison-Smith, IET Faraday Education Manager, said: “Students who take part in the Faraday Challenge Days this year will experience working as an engineer through hands-on and practical engagement with real-life challenges relating to Thorpe Park Resort. The Challenge Days will give them an insight into the life of a real engineer, the variety a career in engineering can offer and just how exciting and creative engineering is. Each team member in the winning group was awarded a prize and a trophy for their school. The top five teams from across the UK will receive an all-expenses paid trip to the national final at Thorpe Park Resort in 2018 to compete for a cash prize of up to £1,000 for their school. The Faraday Challenge Days are part of a wider Faraday education programme, made up of a whole host of teaching resources and activities to inspire and attract the engineers of tomorrow. For more information on the IET and its initiatives to promote STEM subjects and careers in the classroom, visit the dedicated websites for secondary and primary schools.